Official artwork of Dr. Kawashima from Brain Age: Concentration Training. Dr. Kawashima (川島教授, Professor Kawashima) is the host of the Brain Age series. He appears in Super Smash Bros. 4 as an Assist Trophy. 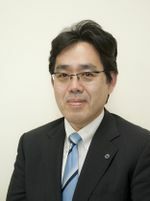 Photograph of Dr. Ryuta Kawashima. Ryuta Kawashima (川島 隆太, Kawashima Ryuta) is a real-world neuroscientist from Chiba City, Japan, who is known for his studies on the mapping of the various regions of the human brain and the effects of age on one's ability to learn. His most well-known work is a book entitled Train Your Brain: 60 Days to a Better Brain, which claimed that continued activities that stimulate the brain, such as basic mathematics and reading aloud, could be used to stave off the mental effects of aging. The book became a success, particularly in Japan, and his work was later adapted as a video game series by Nintendo, entitled Brain Age. 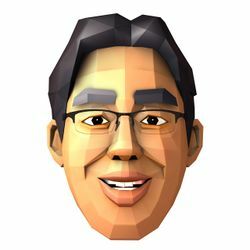 In the games, Dr. Kawashima appears as a polygonal head, acting as a trainer for the player. Dr. Kawashima is mentioned by name in the PAL version of Brawl in the title of the music track "Dr Kawashima's Brain Training: How Old Is Your Brain? ", referred to as "Brain Age: Train Your Brain in Minutes a Day" in the NTSC version. This is to maintain consistency with the PAL region title of the Brain Age series, in which Dr. Kawashima is named. Dr. Kawashima's initial reveal picture. Dr. Kawashima appears in both versions as an Assist Trophy. He attacks by firing numbers from 1 to 9 at players, which can be deflected by attacking them. If two numbers collide, they will be added together; if the result is 10 or more, the new number will then explode, with a significantly larger explosion similar to the Smart Bomb if the result is 10 exactly. Uncommonly, all the numbers produced will be numbers that add up to 10, like 6 and 4 or 3 and 7, guaranteeing sums of 10. In the Wii U version, Dr. Kawashima's trophy is a Challenge reward, unlocked by clearing Classic Mode without losing any lives. Dr. Ryuta Kawashima is the neuroscientist behind the Brain Age series. In this game, he sends numbers from 1 to 9 flying onto the screen to crash into one another. If two colliding numbers add up to 10 or more, they'll explode. If the two numbers total 10 exactly, the explosion will be even more impressive! Dr. Kawashima reprises his Assist Trophy role from previous games. He seems to function the same as in Smash 4. One notable change is that his appearance changes the background of the stage to a white graphed background. Dr. Kawashima is the only real person to appear in the entire Smash Bros. franchise. This page was last edited on February 18, 2019, at 03:59.